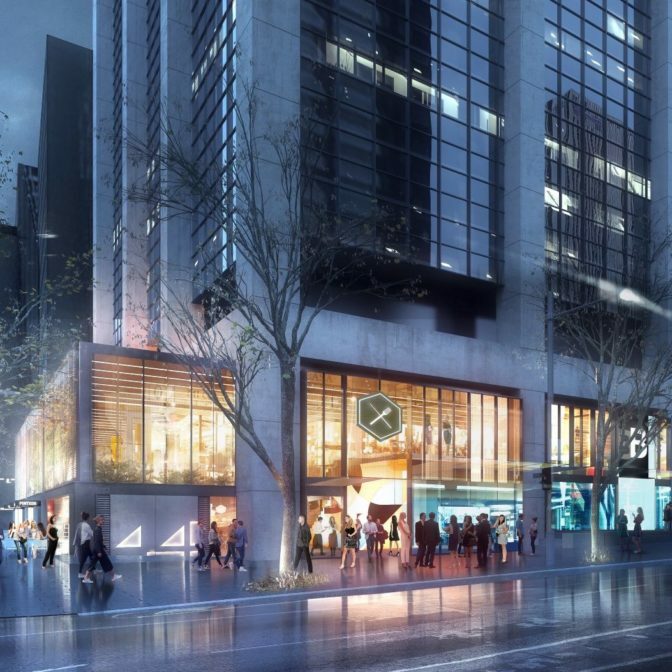 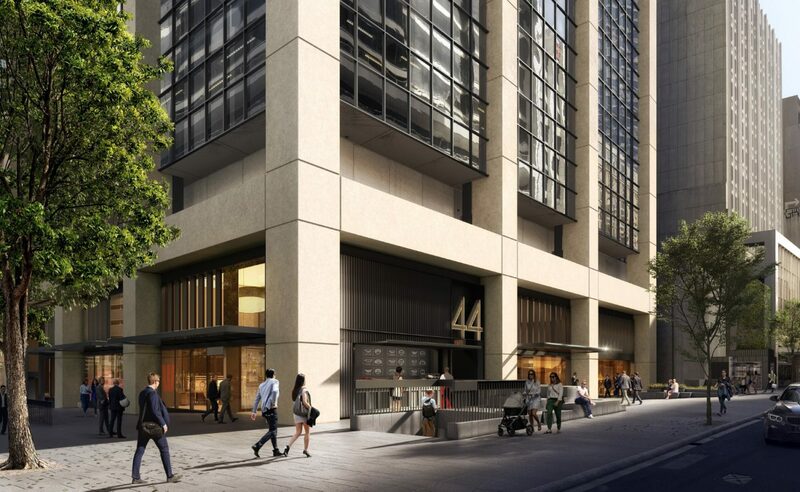 Growthbuilt are currently completing the Design & Construction commercial upgrade of the iconic, 44 Market Street, Sydney, for repeat client, Dexus. 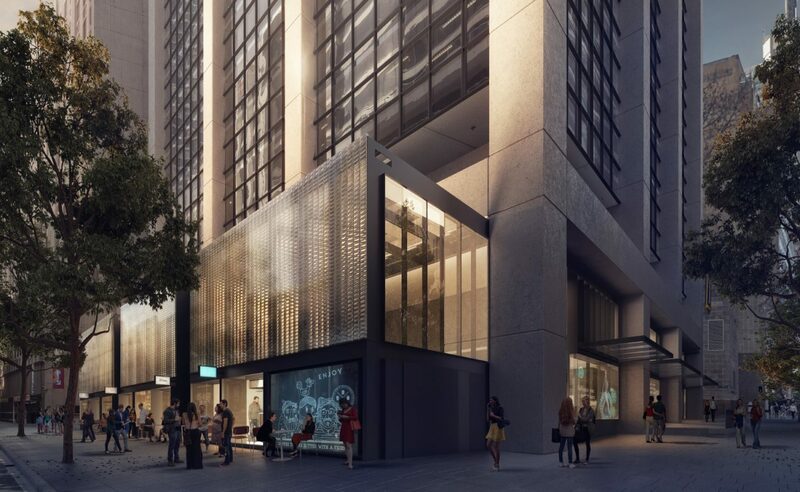 This prestigious project is located in the heart of Sydney’s CBD and reinforces our commitment to high quality commercial construction, with works including the creation of a glass brick facade to sit atop the ground floor retail units, as well as the re-invigoration of the ground floor and mezzanine of the existing building; providing an attractive and prominent frontage for tenants and visitors to the bustling CBD site. 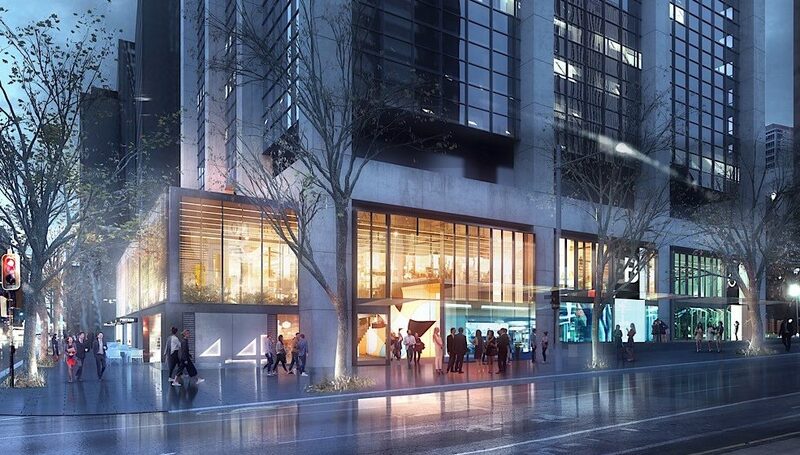 Growthbuilt is working alongside renowned architects Woods Bagot and client Project Manager, Aver, to deliver the 44 Market Street project.